The most disappointing aspect of Dungeons & Dragons Online was that the game was set in Stormreach instead of the much more popular Forgotten Realms campaign setting. Turbine rectifies that mistake with the first expansion pack for the six-year-old MMO, Menace of the Underdark. Why has it taken six years for Dungeons & Dragons Online to get a full expansion pack? Turbine seemed quite content to string players along with free content updates. Perhaps they were waiting on something big enough to warrant such an endeavor. A whole new campaign world certainly seems to fit the bill. Menace of the Underdark, launching this summer, gives players of the free-to-play MMO a whole new world to play in. They'll arrive in the village of Eveningstar in Cormyr, adventuring through the King's Forest before delving deep into the Underdark, the endless subterranean world lurking beneath the surface of the Forgotten Realms. 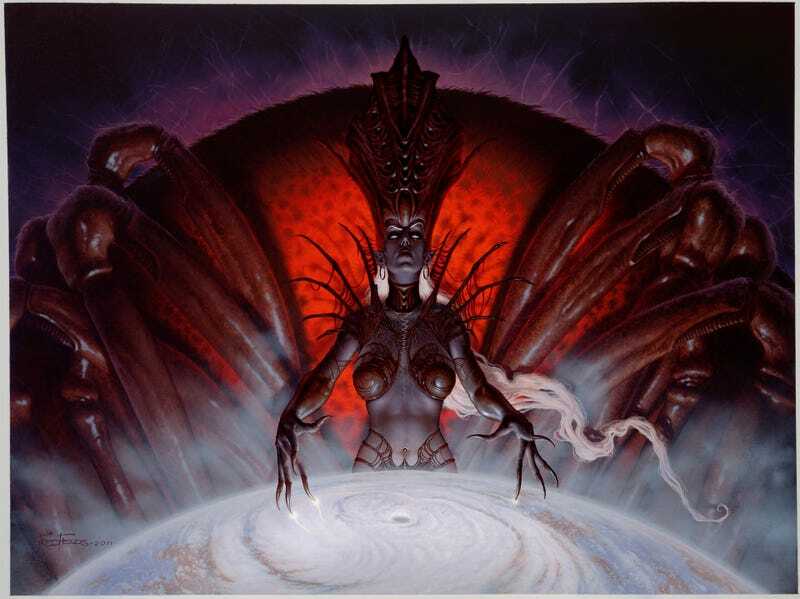 They'll come face-to-face with the Drow (dark elves) and their spider queen Lolth, taking the battle to the underground stronghold known as Shindylryn, the City of Portals. The expansion will also up the game's level cap to 25 from 20 and give players access to the shape shifting Druid class, a class that should go completely out of its mind trapped underground. They had me at Forgotten Realms.